Cause a dude�s gotta move. Equal parts style and gear, this stretch canvas pant is different from anything you�ve pulled on before. It�s got attitude. And a killer look. It's the next generation of MK, and it's pretty freakin' moto. 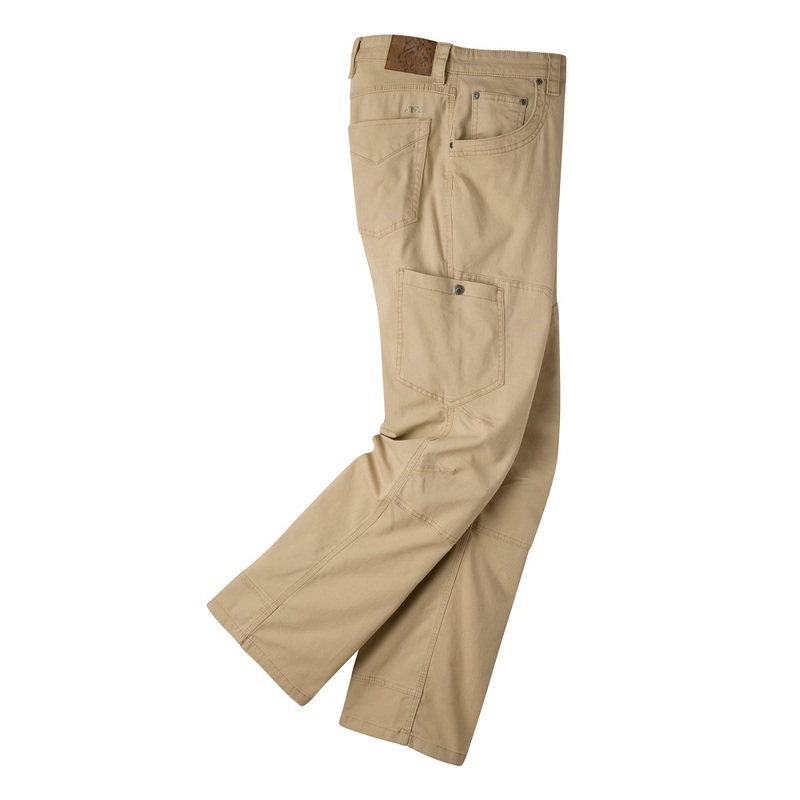 6 pockets, including our quick-draw, external patch-style cell phone stash pocket on the right thigh. Articulated knees for all those ninja moves you do in a day. Diamond-shaped action gusset and triple-stitched seams. "Mudflap" reinforced heel cuffs. The only thing these pants can't do is open your brewsky...which is why a Bison Bottle Opener Keyring is included with each pair. Custom embossed MK bison patch. YKK zipper. Relaxed jean fit with mid-rise, meaning it's between our Relaxed fit and Broadway fit�a slightly-slender fit throughout, with stretch. 97% cotton canvas/3% spandex. Imported. Garment washed.